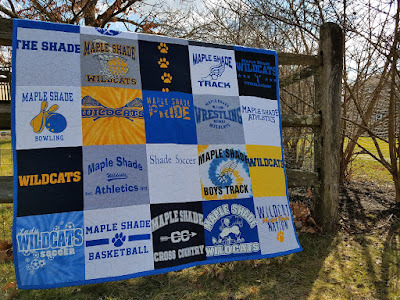 18 sports teams and 1 beautiful quilt! This Basic style quilt was made for the Maple Shade School District in NJ. It includes all of their sports teams. MQBM even made a fabric sleeve for the back so that the school can easily hang it!